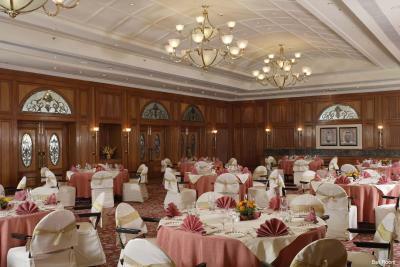 Lock in a great price for Jaypee Residency Manor – rated 8 by recent guests! We liked the food ordered at Manor Cafe, excellent Pizza, Coffee was good and so as Rajma Chawal. This was not my first visit as I find it a good value for money hotel. 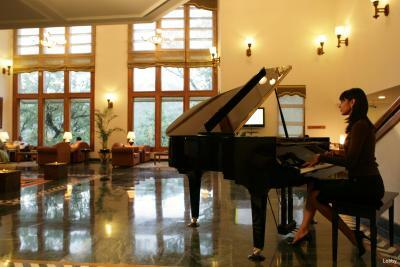 I really like the staff of Jaypee Residency the facilities and the hospitality is too good. Jaypee Resi Musoories Legacy for my visits in past 10 years , but the Valley View Rooms have a Big Big disappointment on my second visit to this category room. Staff and Everyone is Kind and Smiling. Food Quality is good , breakfast is lavish and up to the mark. Excellent location, very comfortable bed and quilt. The room temperature was apt. Courteous and helpful staff. 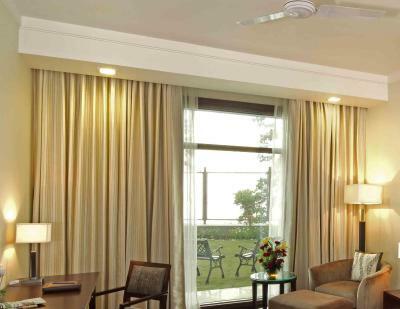 Jaypee Residency Manor This rating is a reflection of how the property compares to the industry standard when it comes to price, facilities and services available. It's based on a self-evaluation by the property. Use this rating to help choose your stay! 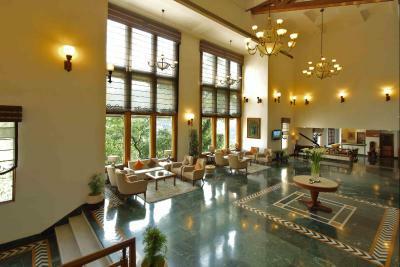 Located on a hilltop, Jaypee Residency Manor features views of the Himalayas. 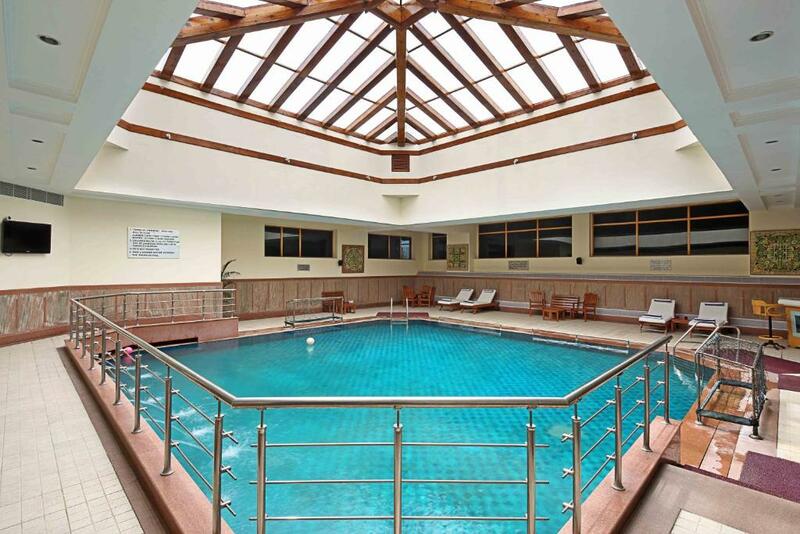 In addition to two dining options, it features an indoor pool and a full-service spa. 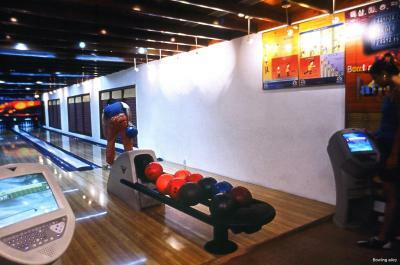 For recreation, guests can visit the skating rink or the bowling alley. 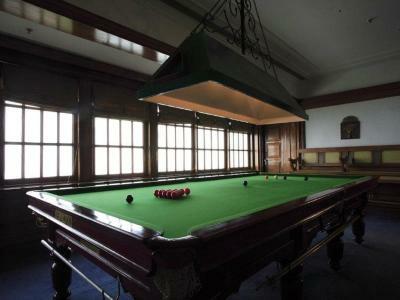 Other facilities include a games arcade and a billiards room. 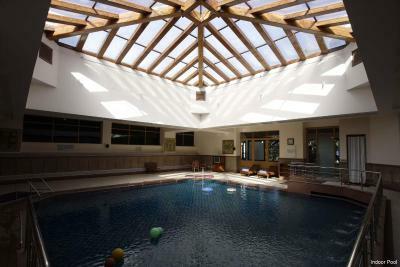 The fully equipped Tamaya Spa also houses a salon, gym and jacuzzi. 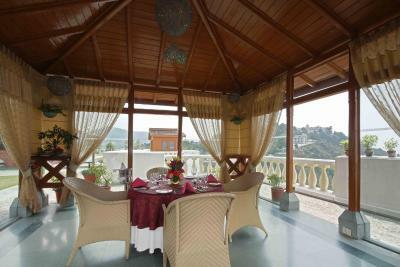 Spacious air-conditioned rooms face the common terrace overlooking the mountains. Private bathrooms come with hot/cold showers. A mini-bar is available on additional cost. 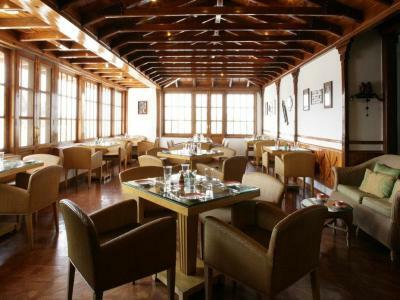 Regency Restaurant serves international dishes and also has its own bakery. Marshal’s Lounge features wines, cocktails and mocktails. 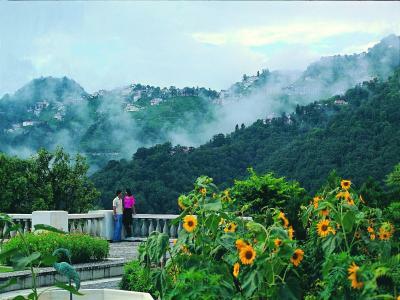 Jaypee Residency Manor is 5 mi from Lal Tibba, which is the highest point in Mussoorie City. The mall road is 2.5 mi away. The nearest airport is Dehradun airport, 34 mi away. 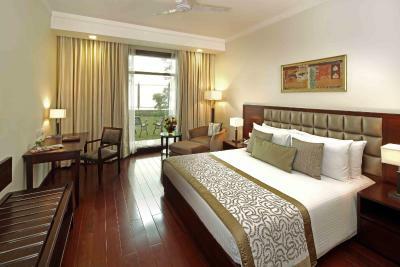 When would you like to stay at Jaypee Residency Manor? 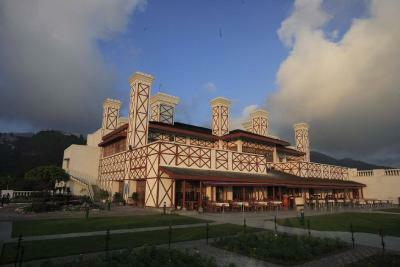 The air-conditioned rooms overlook the mountains/ Dehradun valley. The private bathrooms have hot/cold showers. 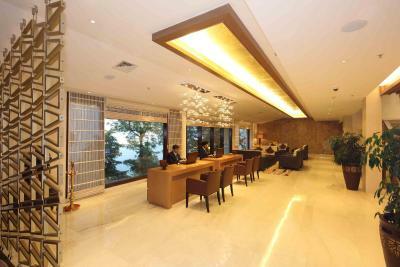 The air-conditioned rooms overlooking the valley view tower feature a wardrobe, minibar and satellite TV. The attached bathrooms have a hot/cold shower. 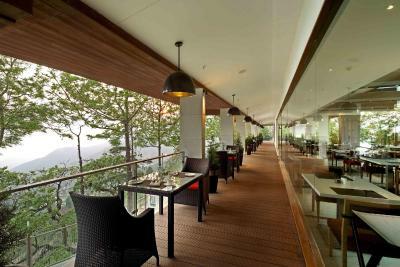 Air-conditioned rooms overlooking the valley view tower feature wardrobe, mini-bar and satellite TV. The attached bathrooms come with hot/cold shower. It has a common balcony and offers additional space. 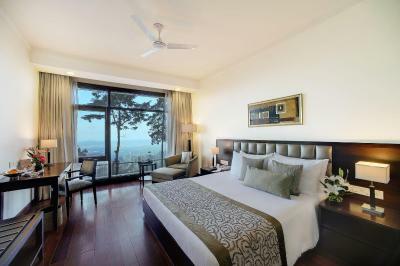 Large air-conditioned rooms overlooking the valley view tower feature wardrobe, mini-bar and satellite TV. The attached bathrooms come with hot/cold shower. It has an attached balcony. 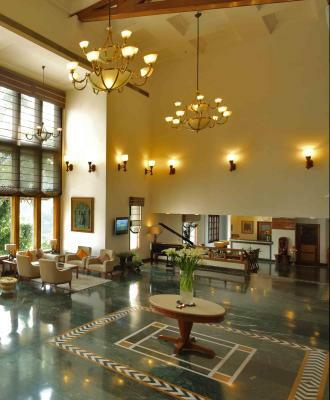 House Rules Jaypee Residency Manor takes special requests – add in the next step! Jaypee Residency Manor accepts these cards and reserves the right to temporarily hold an amount prior to arrival. Please note that for 30th & 31st December, 2018 Mandatory Gala Dinner for 2 adults at INR 17000 plus taxes for 31st December (additional) is applicable. Breakfast menu was almost similar on both days. The chef could improvise a bit and also add some flavour to food. Food Menu seems to be quite expensive. But when you have no other options near that property you are bound eat there. The staff was all new (I think at non season time they hire all new staff), they were not able to answer our questions correctly. booking.com messed up my occupants numbers. Besides no clear suggestion whether one is booking his/her room in supplement tower or in main building.